Angel Padilla, a 39-year-old man from El Salvador, is being denied medical care at the Northwest Detention Center in Tacoma, Washington. Back in December, a CAT scan detected a cancerous tumor in Angel’s left kidney. If left untreated the tumor could endanger his life. On February 19, 2016, Angel was rushed to the hospital after collapsing in his cell. He was given medication for the pain and returned to the detention center the next day. Surgery could improve Angel’s condition, but ICE is delaying medical care and insists on deporting him. Angel has been incarcerated for nearly 20 years. When he was 17 he was convicted of an aggravated felony and received a 23-year sentence. 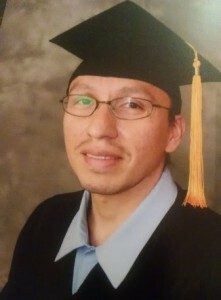 While in jail, Angel focused on turning his life around; he received his GED and worked as a welder. On October 9, 2015, after completing 85% of his sentence, he became eligible for parole. Excited about the possibility of an early release, Angel made plans to find work and start a new life with his wife. But on the day he was scheduled to be released ICE picked him up and transferred him to immigration detention. Each day Angel spends in detention without the proper medical attention, his health deteriorates and the cancer spreads. Take action now and demand that Angel Padilla be released immediately so he can undergo the surgery he desperately needs to survive. Please join the Northwest Detention Center Resistance and the Not1More Campaign in urging the Seattle ICE office to release Angel from immigration detention. 2) Sign the petition and demand: Justice for Angel! I am writing with urgency and concern regarding the detention of Angel Padilla (A# 092 721 003), a 39-year-old man from El Salvador, who is being detained at the Northwest Detention Center. Mr. Padilla suffers from chronic back pain and has a cancerous tumor in his left kidney. While in detention he has been denied access to medical care and a major surgery to treat his condition. On February 19, 2016 Mr. Padilla was rushed to the St. Joseph Medical Center after collapsing in his cell. Despite his diagnosis, he was only given pain medication and returned to the detention center the next day. Mr. Padilla’s health is deteriorating in detention and doctors warned his family his condition will only worsen with time. I am aware Mr. Padilla has a conviction from when he was 17 years old, for which he served nearly 20 years. However, he has shown positive changes over the years. While he was incarcerated, he completed his GED and began to work as a welder inside a prison factory. In October 2015, Mr. Padilla became eligible for parole, after serving 85% of his sentence, but upon his release ICE detained him and put him in deportation proceedings. A CAT scan detected Mr. Padilla’s cancerous tumor in December, but despite Mr. Padilla’s requests ICE continues to delay his treatment and deny his release. I urge you to use prosecutorial discretion and release Mr. Padilla from detention so he can receive the adequate medical care and surgery he needs to survive. Father of 4 Set to be Deported After 24 Years in the U.S.